Statuesque Miniatures and Pulp Alley are pleased to announce we are taking Pre-Orders for our next Pulp figures: Captain Wolf and Minerva. 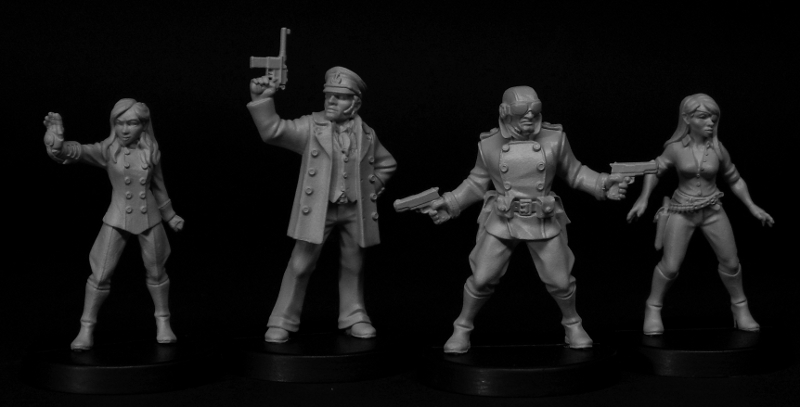 Another pair of brave pulp heroes, these characters join Phantom Ace and Pulp Girl in the expanding Pulp Alley miniatures range. Captain Wolf and Minerva are available for a Pre-Order price of only £6 for the pair, saving 20%! 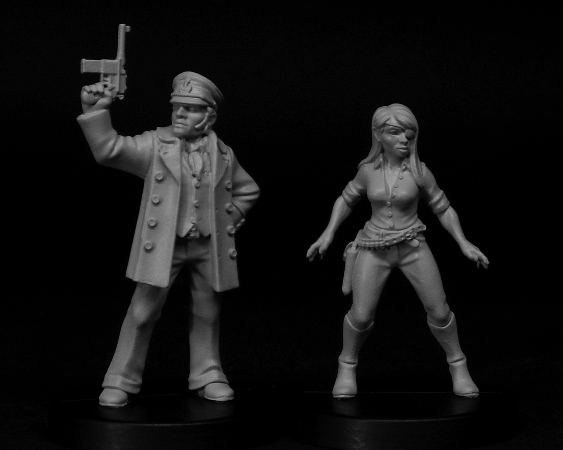 Not only that, you can purchase all four Pulp Alley miniatures - Phantom Ace, Pulp Girl, Captain Wolf and Minerva for a Special Offer price of only £12, again saving 20% over the regular price! Each figure is also available with a unique Pulp Alley character card for use in your Pulp Alley games. 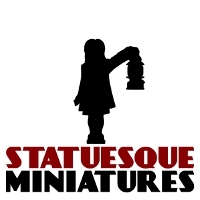 These figures are available from both Statuesque Miniatures in Europe and Pulp Alley in the USA. Please note that any order containing a pre-order item will not be posted until that item is in stock, expected mid- to late July. These offers will run until 25th July 2014. Birsi Bearsson, Dwarf Berserker Released!